Misty Blue Waters is Captained by Andrew Roberts with 25 years fishing experience. It is a 45 foot boat with full safety gear for up to 12 passengers with an on board washroom. 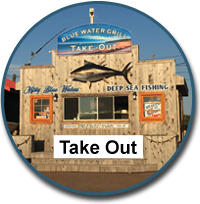 Andrew operates out of Covehead Harbour on the north shore of PEI and fish in the Gulf of St. Lawrence.Look for the shack with the tuna hanging in front.The closest access is from the gate at Stanhope in the National Park or Brackley Beach entrance. You do not have to pay Park fees to come to the Covehead Wharf just inform the booth attendant you are going to Covehead for Misty Blue Waters PEI Deep Sea Fishing. The Misty Blue Waters fishes lobster in May and June during the spring lobster season. If interested in a trip with Andrew to see what it is about enquire by email. Then from June thru September they run PEI deep sea fishing charters with three trips a day. All gear and bait is supplied. The most commonly caught fish are mackerel and cod fish, but you never know what else you might pull up from below. Trips are early morning- 8 AM, afternoon -1 PM and evening- 6 PM. 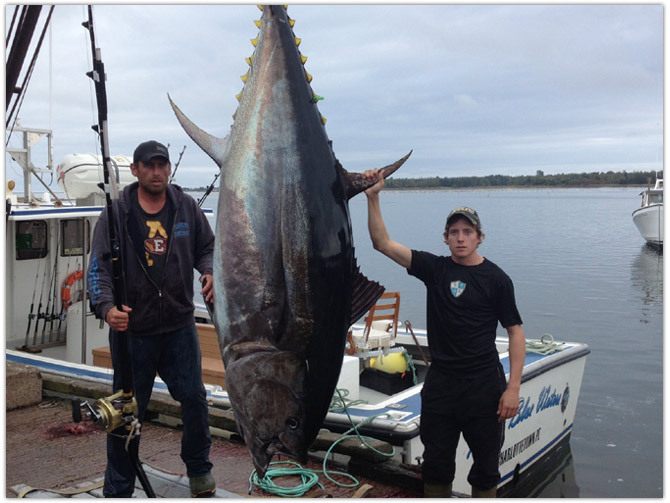 PEI Tuna fishing charters usually run between July 1 and the end of October. The season is adjusted yearly so make sure to call and book ahead. It is a catch and release fishery. Charters are 1/2 day or full day for up to 5 people. Shark fishing can be arranged with proper notice, and is best in September and October. Party – sightseeing cruises can be chartered any time. You never know what wildlife you might see when out on the water. Gannets, Sea Gulls, Bluefin Tuna, Whales and Porpoise are common sights. You will need to dress according to the weather of the day and bring sun protection. You are responsible for bringing your drinks and snacks as well. Water and pop for sale at wharf office. For reservations call or email Andrew Roberts. Call today and book your PEI Deep Sea Fishing Experience.